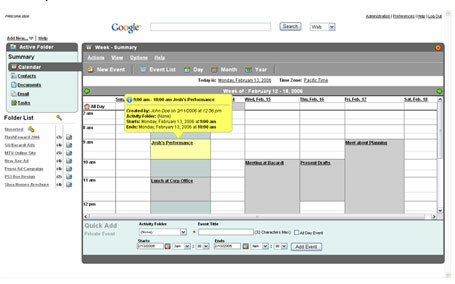 Huntington Beach, California based Foldera‘s goal is to organize all of the chaos surrounding work based documents (email, calendar, office documents, instant messaging, etc). It is a very big idea. The company is in private beta right now, with a full launch on the way. Foldera’s approach to productivity is in direct conflict with the way we use applications like Outlook today (just think about how much time we all spend organizing our inbox, filing emails, etc.). Foldera has a better approach (one that seems rather obvious now that I’ve seen it) and they have a chance to seriously disrupt upcoming product launches like Office Live from Microsoft. 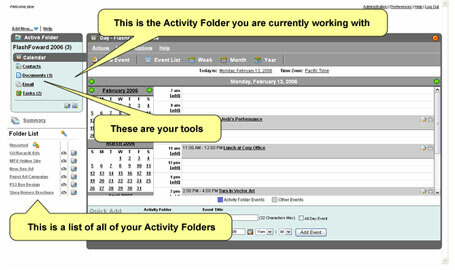 You create a dedicated Activity Folder for each distinct project or activity. Email, instant messaging, and all your other applications are now accessed from within this folder instead of their original disconnected and unstructured state. This organizational structure also keeps everything in context; for example, all your email conversations and instant message dialogs stay right inside that specific Activity Folder, so everything related to that project stays grouped together. Doesn’t that make more sense? To truly appreciate what Foldera can do, try using it with a team. Everything you create with Foldera can be shared or kept private, delegated, owned, or distributed among one, several, or all members of a team. Unlike some collaborative applications, Foldera is easy to use and requires virtually no learning curve. If you can send email, you can use Foldera. Richard Lusk, Foldera’s CEO, met with me late last year to show me an early demo of the product. The idea is that you create a folder around any new project. Share that folder with others or keep it private. 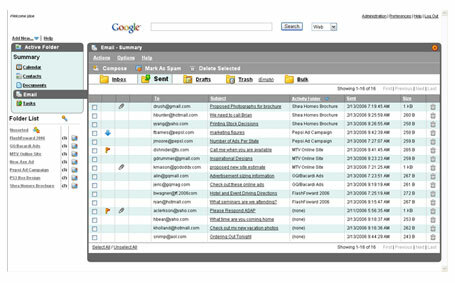 Documents can be uploaded to the service and associated with a folder. Emails started from within the folder are automatically associated with the project. Same with Calendar entries. 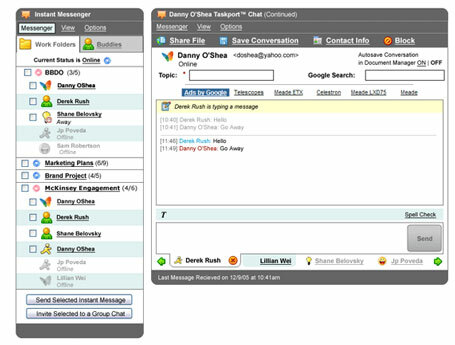 Foldera also includes an instant messaging application (it works with MSN Messenger, Google Talk, AOL Instant Messenger (AIM), iChat, and Yahoo Messenger). The notion of taking emails, IM transcripts, office documents, calendar items and more and automatically organizing each document into shared or private folders is a big deal. Having one place to see every related document will save time. And as deadlines approach, users can simply focus on the project folder and ignore distracting emails and IMs that deal with other projects. Pricing has not yet been disclosed, but there will be a generous free option. Foldera has raised $13 million since its launch. Last week it completed a reverse merger into an existing (shell) public company, raising an additional $8.5 million. It is now a publicly traded (OTC) company with a market capitalization of $70 million. Yeah, its crazy – they haven’t even launched yet.